UFC tickets are in high demand as one of the world's most popular martial arts unarmed combat competition of mixed martial arts (MMA). UFC stands for “Ultimate Fighting Championship” and it was originated in the USA. 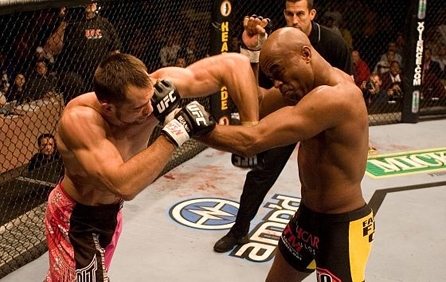 With more than 20 fights every year, the UFC hosts most of the top-ranked fighters in the world. We sell only official UFC tickets and our prices are truly excellent. We are the prime source for all sold out UFC tickets for the UK. We will deliver the UFC tickets to your home or Hotel few days ahead of the event. Order now securely your UFC tickets for the UFC events and fulfill your dream of watching the wrestling most anticipated UK event. Don’t miss out on being at the Capital FM Arena, Nottingham UK, buy UFC tickets now. We will deliver your UFC Tickets to your home or Hotel. Fulfill Your Dream of watching UFC live. Best UFC Ticket prices in the market guaranteed! We’re sorry, UFC tickets are currently not available. Sign up for a UFC tickets alert and we will let you know as soon as we have tickets available for sale. Please enter your email below for a UFC updates! * You will receive UFC email alert immediately once the tickets you're looking for become available. * Don’t Miss out the UFC event.